Q: What are the dates of the trip? Q: Will I get on a trip or end up on a wait-list like lots of people I know? Every Binghamton University student who applied and put in their deposit on time for this past summer and winter trips ended up being offered a seat. Priority is given to students who register and get their deposits in on-time. Q: How much does it cost to go on a Birthright Israel trip? A: As you probably know, the trip is free! When you apply, you will need to submit a $250 deposit, but it's not locked in until you're confirmed on a trip and it's returned when you get back. Q: What's the registration process like? A: It's easy - on the day registration opens go to the Mayanot Birthright Israel website ( http://bit.ly/Mayanot-Binghamton ) and sign up! You'll need to fill out a few forms, submit your deposit, and upload a picture of yourself. Q: What's security like on the trip? Q: The trip is only 10 days long. What if you want to stay longer? Q: Is there an observance level that is required for trip acceptance? A: Not at all! The only requirement for Mayanot trips is that every participant has at least one Jewish parent. If you are looking for a trip that includes religious services and such, please let me know. Q: But I've always wanted to go to Israel with my best friends from home! A: Mayanot Israel is a campus-based trip - it's not campus-exclusive! You can invite anyone to register for a Mayanot trip - friends from home, siblings, etc. We can't promise you can be together, but we will try. 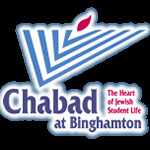 Be sure they select the Binghamton University group and put your name down as a friend they want to travel with. Q: What does the itinerary of the trip look like? If you or your parents have any questions or concerns, please email us: lslonim@JewishBU.com and we'll be happy to answer them.